Bronze restitution medal by Girolamo Paladino, 44.3mm in diameter. 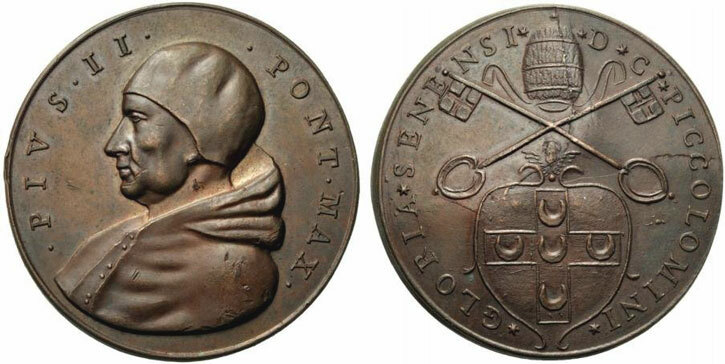 Obverse: Pope left. Reverse: tiara and crossed keys above coat-of-arms; around, GLORIA SENENSI D C PICCOLOMINI.